Dance is a passage; dance is a risk, like every journey that knows no destination. Dance is an enterprise, we live with woundedness in the world. Since it knows beauty and strength, it also knows suffering, memories, experiences and longings. The dance is about movement which embraces the Heart, the Mind and the Spirit. Not just once, but forever. 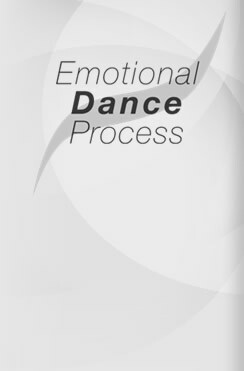 Emotional Dance Process® is a dancetherapeutic method, which has been developed since 1985 by Tiamat S. Ohm in Berlin-West. It can now be found in Germany and Switzerland in institutions such as schools and clinics, in medical and psychotherapeutic practices, yoga, art and drama therapy, and in local communities. EDP as a method of free, authentic movement, is integrated into the work of many people working in a variety of professional areas. Its particular quality is the wide range of activities in which it can play a valuable part. To begin with, the focus is on the invidual’s impulse, from which evolves a way of working with the movement, building personal strength through its inspiration and guidance. EDP Institute is located in Frankfurt, Germany, directed by Tiamat S. Ohm and offers training in Emotional Dance Process®. You are invited to experience EDP and join in open courses.